Egypt&apos;s enthralling history and scenery make it a favorable destination for tourists from around the world. Not because we&apos;re Arabs that you should listen to us, but maybe because the writer is Egyptian and knows best that you should listen to her? The following guide isn&apos;t out of this world, but it certainly sums up the need-to-visit gems of Egypt. Tip: Find yourself a certified tour guide. They usually have great knowledge regarding the country&apos;s history and the best places for Egyptian cuisine and souvenirs. No matter how many times you&apos;ve seen them on TV or the internet, nothing is going to prepare you for the majestic pyramids and the overwhelming feeling of seeing them for the first time. For all your souvenirs and traditional clothes, Khan El Khalili encompasses the lively spirit of Egypt in its alleys. From folkloric hookahs and miniature statues, to pyramid deco pieces and papyrus paper with your name in hieroglyphics written on them ... this souk will fill your luggage with goodness. After indulging in some Cairo exploring, get on a train to Aswan to see the awe-inspiring temples of Abu Simbel. The incredible detail of the grand statues will surely take your breath away and make you forget all about the heat. Before bidding farewell to Aswan, you should consider sleeping a night in one of Gharb Soheil (West Soheil) Island&apos;s Nubian houses. Anakato, for example, is a piece of heaven with the most beautiful of views of the Nile. They also boast great hospitality and colorful, folkloric houses. Traveling from Aswan to Luxor, opt for the Nile cruise to witness the ruins of ancient Egypt mixed with modern life&apos;s architecture alongside the banks of the river. The temple at Luxor is worth your time, whenever that may be. "Whenever you go, be sure to return at night when the temple is lit up, creating an eerie spectacle as shadow and light play off the reliefs and colonnades," Lonely Planet wrote. 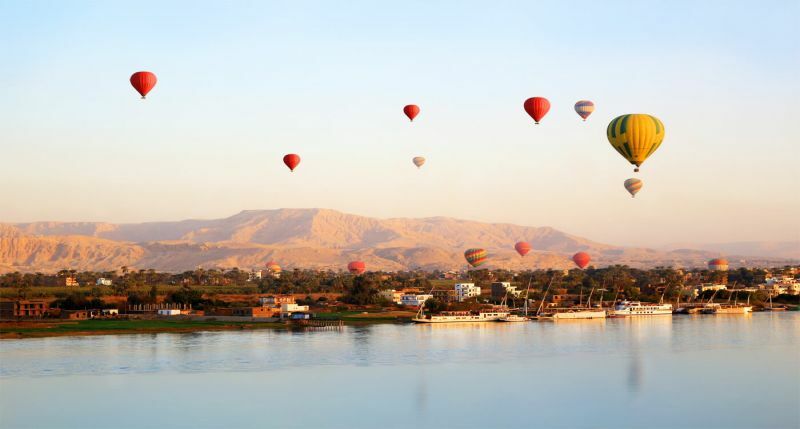 While you&apos;re at it, head to the Valley of the Kings for a hot air balloon ride to witness the glory of the city from above. "This was the highlight of our trip to Egypt. We were in awe of the beauty of the balloons in the darkness of morning and as the sun was rising and so too was the balloon---we had our breath taken away by the beauty of the Valley of the Kings, Queens, Nobles and Workers," a TripAdvisor user wrote. 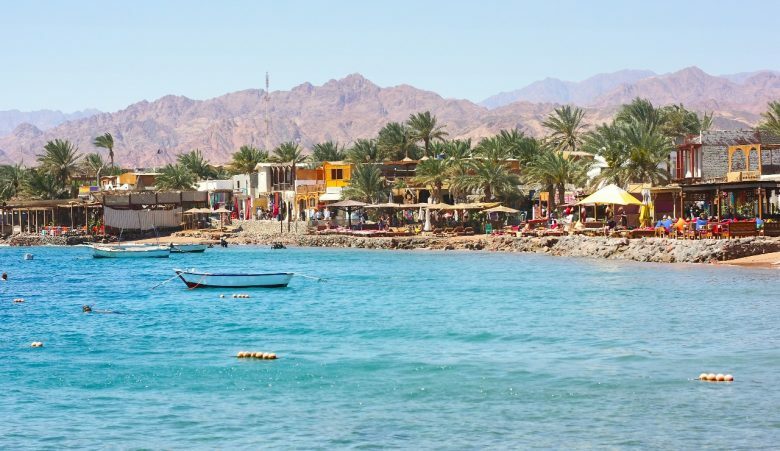 A small town on the coast of Sinai, Dahab offers activities such as scuba diving in the Blue Hole - not to be taken lightly as it&apos;s been titled "divers&apos; cemetery" - and bike riding surrounded by the mountains. The very serene, relaxing atmosphere is perfect for unwinding. In fact, it&apos;s one of the most recommended places in Egypt for yoga and meditation. With affordable hotels facing the sea, this diving destination needs to be on your list. To avoid crowded shores, make sure to visit the city during winter. 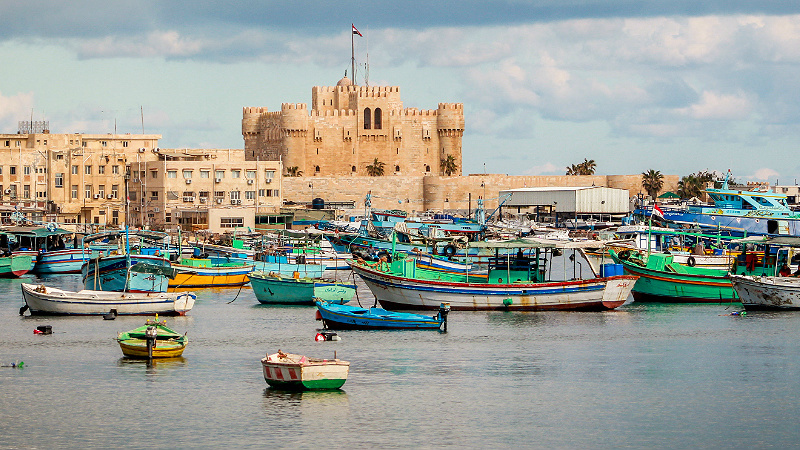 There, you have a wide variety of historical sites to see including the Great Library of Alexandria, Lighthouse of Alexandria, Citadel of Qaitbay, and Montaza Palace.